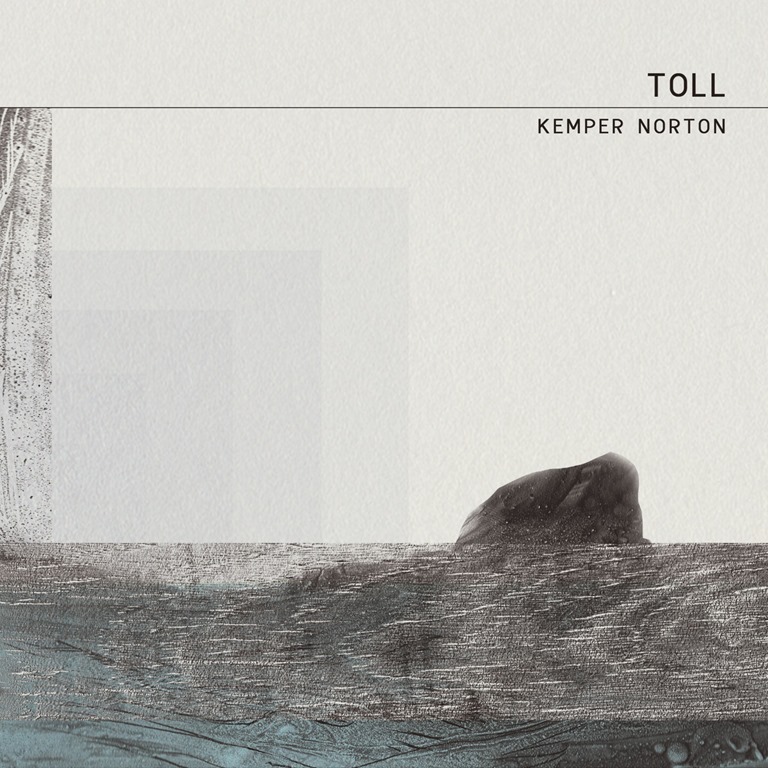 Kemper Norton’s previous releases, Carn and Loor were respectively located in specific rural locations and the city. In contrast, Toll heads off-shore, and it begins with a swell of sound as grand as the ocean, but very far from an attempt to recreate the sound of the tide, a vast, grating, rolling buzz. It soon becomes clear that this is neither an ambient album which strives to recreate and convey the kindness and cruelty of the sea, and nor is it an ocean-inspired drama (I would contend that The Christmas Tree Ship EP by I Like Trains is pretty much the ultimate in this field). Toll is a complex work, which is inspired by – and interrogates – two very different pieces of history – specifically the lost Cornish kingdom of Lyonesse, and the 1967 sinking of the Torrey Canyon oil tanker. Both are stories set in the same geographical space, a stretch of ocean off the west coast of Cornwall. To bring together what could be considered a mythological disaster – and thus in the literary, classical sense, a tragedy – with a modern-day disaster, is a bold and ambitious project, and it’s the duality of ancient and modern which finds Toll pulling in different directions. And yet this is not an album built on conflict, but an attempt to reconcile very different histories, united by location. Although a broadly ambient album for large segments, Toll deviates from this or any genre category frequently, and widely. Toll’s preoccupation is more with narrative and themes than with atmosphere alone, although this is not to say it isn’t a deeply atmospheric work. To this end, the album does not restrict its form to any one musical mode, and ‘The Town’ takes the form of a lyric folk song, but performed as a sonic wash that’s a cross between folktronica and ambientgaze. Meanwhile, the echo-blasted vocal of ‘Black Silk’, accompanied by a drone and distant percussion owes more to Suicide and Massive Attack than anything from the worlds of either ambient or folk. The instrumental passages hover and hum, sometimes intimating trepidation and others tranquillity, but oftentimes with darker undercurrent eddying beneath the surface. Two-thirds of the way though the album, ‘Agnes and Louisa’ forges a deep, rumbling, rolling rhythm, a swell of sound which grates and wheezes, with electronic interventions, while the sparse, lilting electronic folk of ‘Coming Home’ is quietly menacing. The final track, ‘The Tide’ brings the album to a perfect conclusion: a magnificently balanced synergy of folk and electronica, traditional and contemporary, it builds a haunting surge of sound and emotion. What Toll ultimately conveys, by oblique means, is a sense of the intrinsic nature the relationship between human geography and physical geography, community and place. History is every inch as integral to the shaping of a location and those who reside there as geography: past events etch themselves into the landscape and the collective conscious, however discreetly, and similarly legends are imprinted in the backdrop of local life. Toll is not an easy or immediate work, but it is one which is deeply evocative and highly thought-provoking.